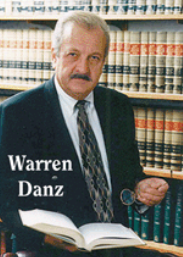 Social Security Disability - Law Offices of Warren Danz, P.C. If you are disabled and are seeking financial government assistance, you may do so by applying for social security disability administered under the Social Security Administration. Either under Social Security Disability Insurance (SSDI) or Supplemental Security Insurance (SSI), both forms of disability are considered difficult to obtain and you will need an experienced and knowledgeable attorney to help you try to secure access to these benefits. The social security disability process can be very long and confusing. Having the right attorney fight for you can help alleviate some of your worries and help your chances to be awarded benefits. Sometimes, when you have enough evidence that is properly presented, you may even be awarded disability right away and be able to avoid a hearing.